How do I display the TMS curves on my TCC drawing? 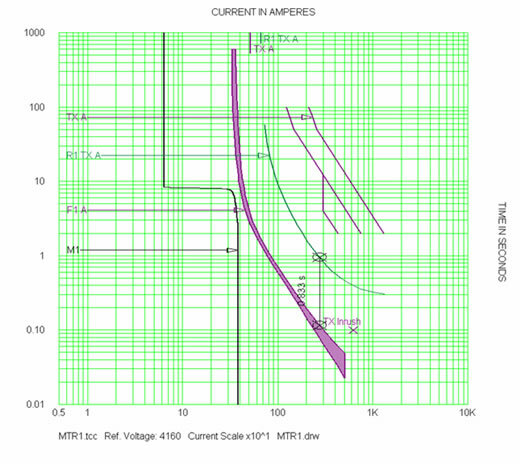 Question: How do I display the TMS curves on my TCC drawing? 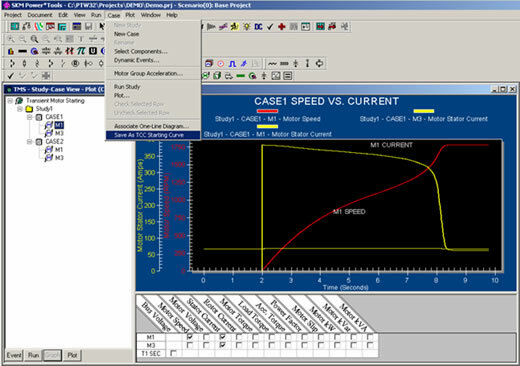 Step 1 - In the TMS window, select the motor and current starting curve. In the Case pull-down window, select "Save as TCC Starting Curve"
Step 2 - Proceed to open the TCC drawing with the motor you want to display. Select the motor on the TCC drawing. Click on the 'Starting Curve' tab and in the 'Starter Type' box, select "TMS Curve". 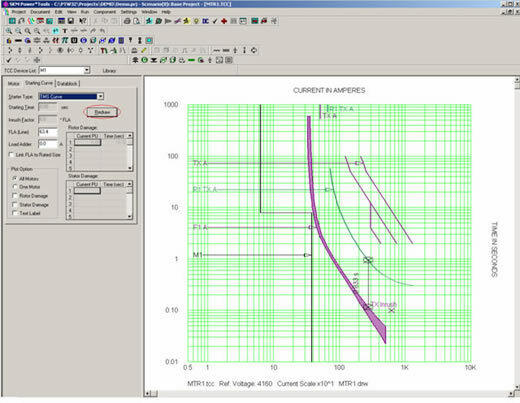 Click on the 'Redraw' button to display the TMS curve on the TCC drawing. The TMS curve is now applied to the TCC drawing.